Personalize this bangle with the wording of your choice. We can add as few or many charms as you want (please select from the drop down menu). birthstone selections in your checkout notes. 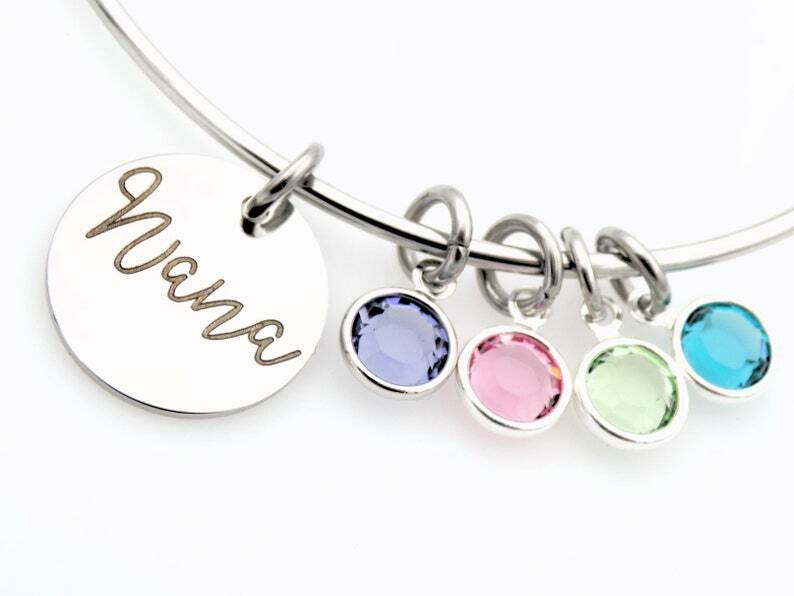 Birthstone Choices are as follows, Jan, Feb, March, April, May, June, July, Aug, Sept, Oct, Nov, and Dec.
assembled by us using high quality materials. Items arrive gift ready in The Light and The Dark branded packaging.